Take your home theater to the next level with the PDSB15A. Watching movies and sports at home with surround sound can be an incredible experience — but without a subwoofer, you're missing the low-end frequencies that make the movie or sporting event feel real. This 250 W active sub features a 15' long throw driver and class H amplifier for powerful, realistic bass. Features a line input and line out over RCA, so you can use this sub as a crossover for your system as well. The elegant wood finish looks great and compliments your speakers well. 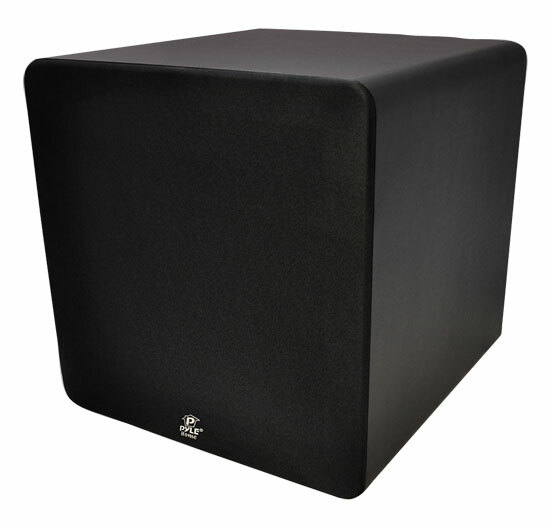 Whether you're upgrading from a smaller subwoofer or adding one to your system, the PDSB15A is perfect for you.